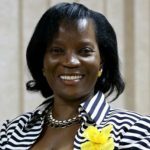 Jennifer Musisi is an experienced lawyer and public administrator in Uganda, and has been Executive Director of the Kampala Capital City Authority (KCCA) since 2011. She has been at the head of the transformation of the City Administration from a Local Government to a Corporate Entity under the Central Government. Jennifer has a strong legal, administrative and leadership background, and previously worked as Commissioner Legal Services and Board Affairs in the national Uganda Revenue Authority. She has trained at Makerere University, Kampala, as well as numerous other institutions including The George Washington University, Harvard Business School and Harvard Law School. Jennifer has over 30 international, regional and local awards and works with various international agencies on urban transformation projects as well as African City leaders on issues of urban transformation. Jennifer is also an international speaker on matters of sustainable urban transformation. Astrid Haas (International Growth Centre) speaks to Jennifer Musisi (Executive Director, Kampala Capital City Authority) about policies for growing cities at the World Urban Forum. Jennifer S Musisi, Executive Director of the Kampala Capital City Authority, outlines some of the key challenges facing cities in the developing world. Jennifer S Musisi, Executive Director of the Kampala Capital City Authority, discusses the inefficiencies of urban authorities in the developing world and outlines work done in Kampala to transform its urban governance.